Kicking off this week’s must-have apps roundup is a stunning new weather app called Solar, which boasts a simple, intuitive user interface and a no frills approach that doesn’t suffocate you with information you’re not interested in. There’s also a great new drawing and animation app from Disney that you and your kids will love; a great new photography app that adds bokeh light effects to your photos; and updates to Google Earth and Yelp. 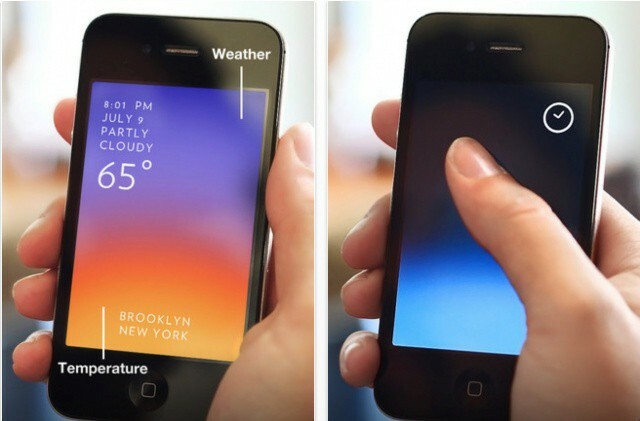 Solar is a new weather app for the iPhone that offers a beautiful user interface and a really innovative experience. It takes things back to basics, with “no vector polygons, no dew point calibration, and it won’t remind you to wear a jacket.” The result is a simple weather app that’s a joy to use. When you open Solar, you’ll see the date and time, with a brief description of the day’s weather, including temperature. This information then makes up the app’s colorful background, as you can see in the image above. Swipe down on your display to see the weather forecast for the next three days, or swipe up to fast forward through time to see weather and temperature changes as they happen. 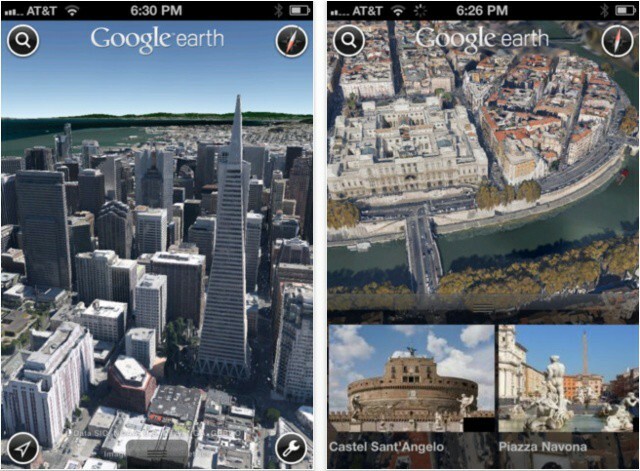 Swipe left and right to switch between different cities, or pinch to zoom out and see all four together on one page. If you’re looking for a weather app that’s simple, easy to use, and more beautiful than anything else out there, you need Solar. PIXEL’D is a terrific new drawing and animation app from Disney that you and your kids will love. It allows you to create incredible pixel art using Disney character pixel stamps frame-by-frame. You get 20 frames in total, with three drawing layers on each canvas, plus a number of adjustable shapes that help make your drawings super simple. There are a wide range of Disney stamps to choose from, and you can even add to the selection with different expansion packs via in-app purchases. There’s also a great “Buddy Draw” feature that allows you and a friend to draw together in realtime over Bluetooth or Wi-Fi. 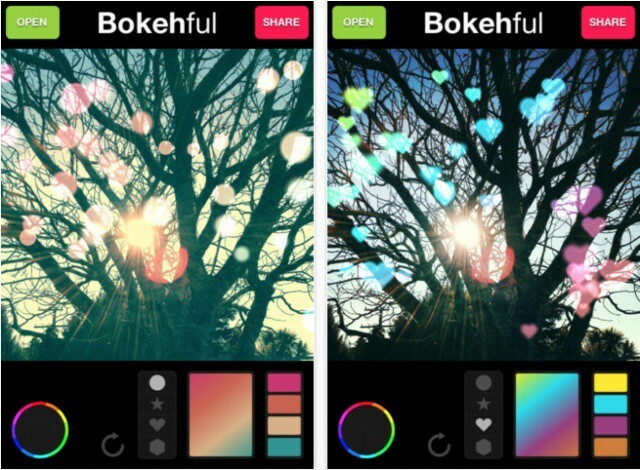 Bokehful is a cool photography app that allows you to add great bokeh light effects to your photos. And it couldn’t be easier; simply select your color scheme and start drawing. You’ll find circle, heart, star, and hexagon shapes; multiple bokeh color gradients; and the ability to change the gradient direction. You can save your images at full resolution, and share them to Instagram, Facebook, Twitter, Tumblr, email, and more — all without leaving the app. Los Angeles, Boston, San Francisco, Geneva, and Rome are all supported in this release, and Google promises there will be new additions in the coming weeks. This update also introduces a new feature called Tour Guide, which lets you take tours of your favorite cities, historical landmarks, and natural wonders. 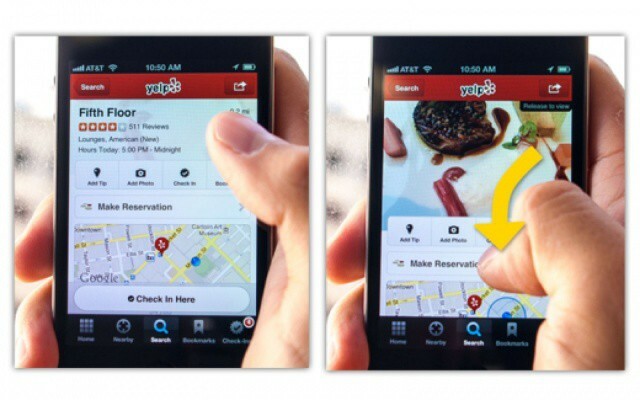 Yelp just delivered the latest version of its iOS app to the App Store, and the company promises it’s “literally filled to the brim with awesomeness.” The app’s business pages have been completely remodeled with a focus on “aesthetics and efficiency,” and they introduce a new “pull-to-view” feature that allows you to swipe down to reveal the photo gallery for each business. There’s also support for Yelpy Insights, which provides detailed information on which demographics each business is suited to. For example, you can find the best places for vegetarians, or which ones are popular with certain age groups. Finally, after reading user tips, you can now state whether they were “useful,” “funny,” or “cool,” and add your own compliments.